Obituary for Sean C. Enos-Robertson | Edwards Memorial Funeral Home, Inc.
Sean Casey Enos-Robertson passed away on November 29, 2018, from cancer, surrounded by loved ones. Sean was the devoted husband of Courtney Enos-Robertson, and doting father of Oswin (Winnie) Wirth Enos-Robertson. As graduate of Milford High School Class of 2000, and Providence College Class of 2005, Sean surrounded himself with a group of friends that has remained close into their adult years. At PC he was the manager of the college radio station and the host of the radio show “The Terrordome,” where--in spite of the 2:00-4:00 am airtime that left him wondering (out loud, on the air) if he were just talking to himself--he shared his life-long love of music. Sean will live on not just through his daughter, but through all the students he taught. Upon graduation from PC, Sean followed his heart (and Courtney) to New York City, where he found his dream job in 2007, teaching middle school history at Harlem Academy, a private, not-for-profit school that provides a rich education for students who might not otherwise receive one. When Courtney expressed dissatisfaction with her career path, Sean supported her desire to go back to school and change careers, telling her that he loved his job so much, he couldn’t imagine not wanting to go to work. Sean adored teaching, and in his last weeks, he spoke of how fortunate he felt to have had a job he was passionate about. Sean’s mastery of teaching was recognized in 2016, when the Gilder-Lehrman Institute of American History named him the New York State History Teacher of the Year. 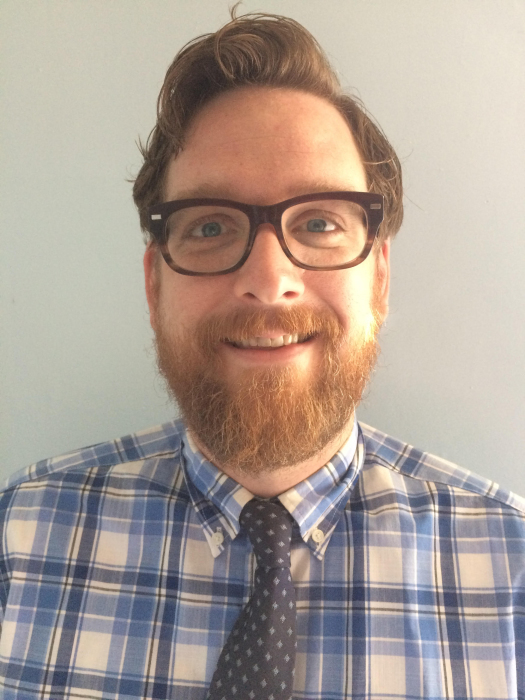 In 2016, Sean began graduate work at the CUNY Graduate Center, receiving his Masters Degree in History in 2018. At the time of his passing, he was working toward his Ph.D. in history, with a focus on the American Civil Rights Movement. Sean met the love of his life in 2002, when he was DJing at a house party for mutual friends in Milford. After a few years of long-distance romance, Sean and Courtney moved to Brooklyn together, where they fell in love with their neighborhood next to Prospect Park. In Brooklyn, he loved walking their two rescue dogs in the park, going bowling and singing Karaoke with his “New York Family,” and sitting on a park bench doing a crossword puzzle. Sean and Courtney also loved getting out of the city for road-trips, one of their favorites being a drive down the Natchez-Trace Trail in Tennessee for a friend’s wedding. Sean and Courtney got married in 2009, witnessed by family and friends, although those family members and friends weren’t able to help Sean and Courtney when their car broke down in the middle of an intersection driving from the ceremony to the reception. Having wanted children for a long time, they were so excited to become parents to Winnie in 2016. Winnie is brave, independant, and silly, and Sean adored her more than the world. She’s the light of Courtney’s life, and both her and Courtney will be surrounded in love in the years to come. Sean was a devoted son, a loving husband and father, a kind and loyal friend, and a committed teacher. He will be deeply missed by all who knew him. Sean also leaves behind his brother Keith Robertson and his wife Stephanie, his parents Gary and Maureen Robertson, his grandmother Evelyn Casey, three nieces (Cassidy, Norah, and Rosemary), and many other family members and in-laws who loved him very much. His funeral will be held Tuesday (December 4th) at 9am from the Edwards Memorial Funeral Home, 44 Congress Street, Milford MA followed by a Mass of Christian Burial at 10am in St. Mary of the Assumption Church, 19 Winter Street, Milford MA. Calling hours will be held on Monday, December 3, from 4:00-7:00 PM, at the Edwards Funeral Home, 44 Congress Street, Milford, MA. In lieu of flowers, Courtney and her family have established a college fund for Winnie. Any gifts would be very much appreciated at https://go.fidelity.com/g8vhl .